From 1931-1935 Bertrand Russell was one of the regular contributors to the literary pages of the New York American, together with other distinguished authors, such as Aldous Huxley and Vita Sackville-West. Mortals and Others Volume II presents a further selection of his essays, ranging from the politically correct, to the perfectly obscure: from The Prospects of Democracy to Men Versus Insects. Even though written in the politically heated climate of the 1930s, these essays are surprisingly topical and engaging for the present day reader. 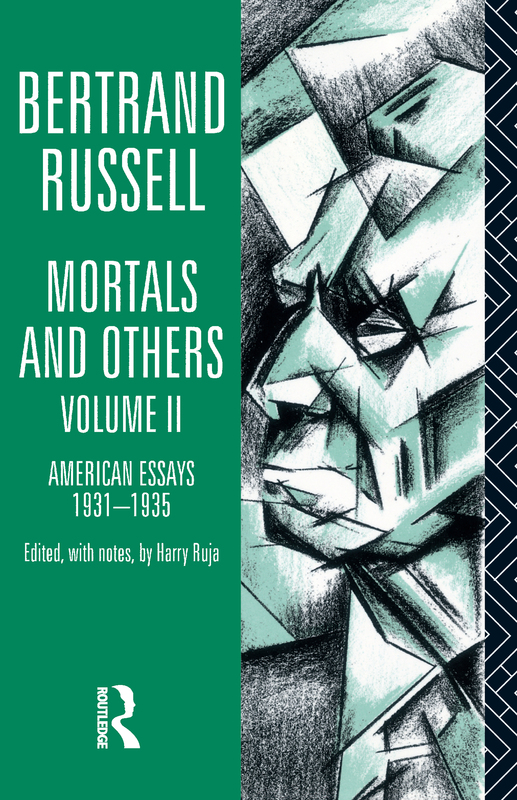 Volume II of Mortals and Others serves as a splendid, fresh introduction to the compassionate eclecticism of Bertrand Russell's mind.